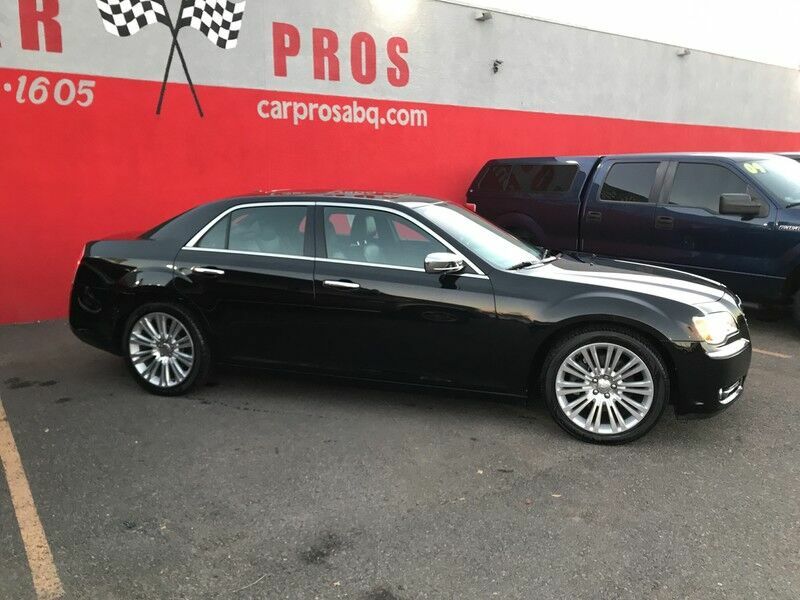 Proudly announce your arrival in our exquisite Accident-Free 2014 Chrysler 300C Sedan dressed to impress in Gloss Black. With upscale styling and refined taste, you'll be sure to turn heads. Powered by a strong 5.7 Liter HEMI V8 that offers 363hp while connected to a durable 5 Speed Automatic transmission. This Rear Wheel Drive is fun to drive plus supplies an efficiency of near 25mpg on the open road. The aerodynamically designed raked-back windshield and forward-leaning fascia provide a sophisticated, yet aggressive stance with tailored finishes of the iconic grille, chrome accents and LED headlamps exuding an attitude unlike any other. The interior of the 300C is loaded with luxuries that you deserve such as remote start, a sunroof, and LED cabin lighting. Relax in leather heated and ventilated seats with memory functions and enjoy the technology of a central touchscreen interface, Bluetooth phone and audio connectivity, a navigation system and a 6 speaker Alpine audio system with iPod/USB connectivity and satellite radio. You'll experience enhanced Chrysler safety and security with anti-lock brakes, traction and stability control, and airbags. With power and luxury on your side in this well-crafted symbol of excellence, you'll be looking for reasons to get out and drive. Print this page and call us Now... We Know You Will Enjoy Your Test Drive Towards Ownership! We deliver all over the country! Check out our 5 star reviews on Facebook, Google and YELP! This vehicle qualifies for great financing. If your credit is not the best, we go out of our way to get you the financing that best fits your needs. Extended warranties and GAP insurance are also available. Financing is OAC. We are located at 5029 4th St NW Albuquerque NM 87107. Call now at 505-343-1605! !